For the last several years volunteer pilots in the Northwest have been organizing to be of service when the expected Cascadia Subduction Zone great earthquake occurs, along with a likely great tsunami. In addition the area has a number of active volcanoes which could also cause widespread destruction. EVAC's Northwest Region Emergency Services Director Sky Terry, with a career in medicine, realized that with all the waterways in the Northwest that seaplanes could be of great utility, being able to get into stricken communities where roads may have washed out or been covered by landslides. 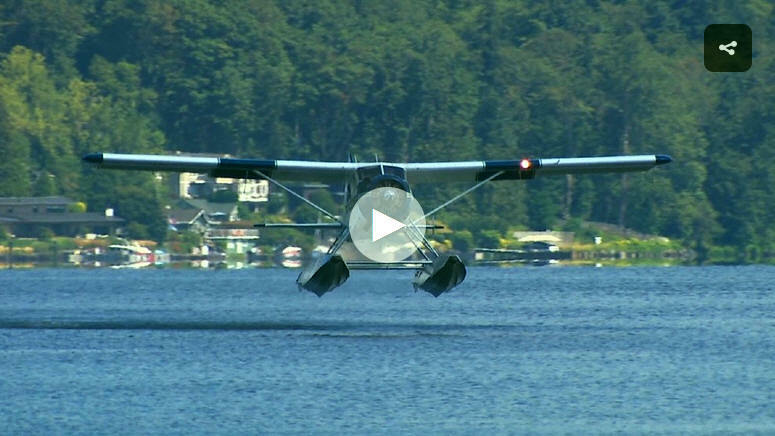 With help from many who support this vision he created a program called the Emergency Seaplane Response Plan, or ESRP. He has developed relationships bringing together statewide aviation and emergency service agencies, several pilot organizations, and local authorities to work in mutual support of this effort in Washington State and also to spread the program to other states. Contact Sky using his contact information below to find out how you can get plugged into the ESRP and other volunteer pilot emergency service programs in the Northwest. In addition please see the additional important information below. 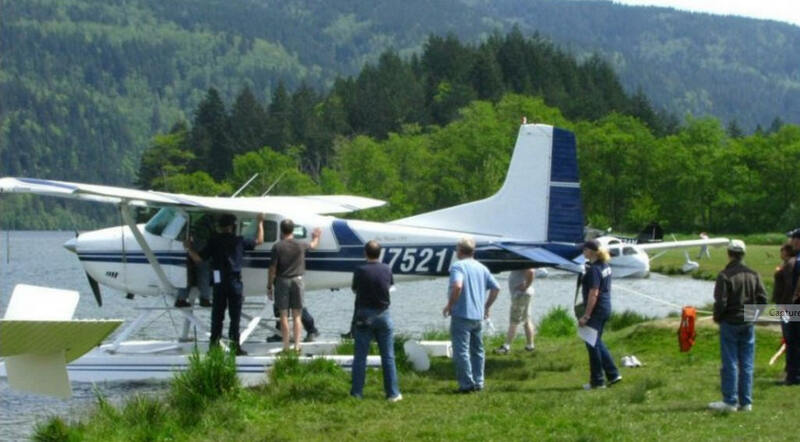 The Washington State Department of Transportation provides good information on how volunteer pilots and others can become a Registered Emergency Volunteer Pilot. 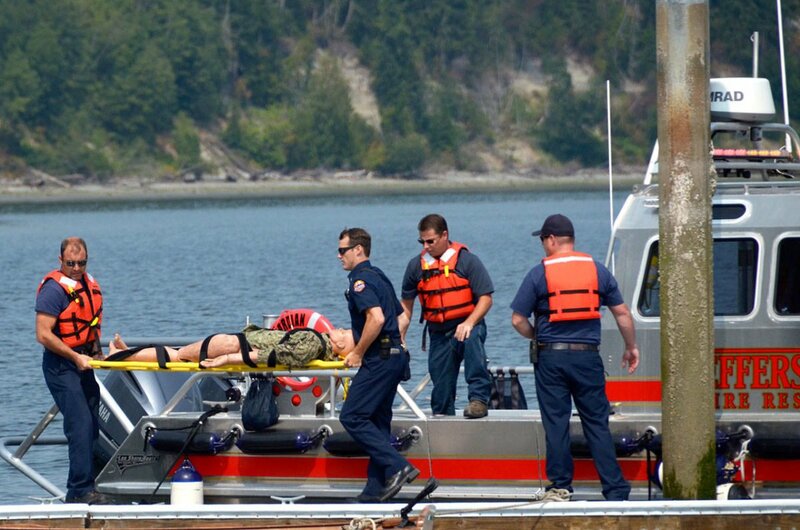 First, you should know that you now need to be a state registered volunteer to take part in an official ESRP (Emergency Seaplane Response Plan) exercise or any other state-sanctioned response plan. Any pilot from any state can register with Washington State to become a Registered Emergency Volunteer Pilot. Of course other organizations may provide relief operations as well in areas where the airspace is not restricted, but becoming a registered volunteer pilot will ensure you are better qualified to participate in official emergency response plans - as well as be better trained to understand and be plugged into the Incident Command System. When you become a Registered Emergency Volunteer Pilot, you are recognized with Washington state and FEMA and you could get benefits including liability protection, medical aid, disability and death benefits, and reimbursement of expenses. If you are not registered as an emergency volunteer, the controlling agencies will not be able to contact you or be able to include you in their emergency efforts. There are several steps you need to take to become a Registered Emergency Volunteer Pilot with the WSDOT (Washington State Department of Transportation). Consider it similar to adding a rating to your pilot certificate. 1. Get a First Aid/CPR/AED card. Contact your local Red Cross or Fire Department to find out how you can get a First Aid/CPR/AED card. 2. Complete FEMA ICS (Incident Command System) on-line courses. a. ICS 100 and ICS 700 courses are required. b. ICS 200 and ICS 800 courses are recommended and optional. a. Sign a WSDOT Non-disclosure Agreement. b. Complete the WSDOT Aviation Emergency Services Volunteer Form. And here is additional useful information! The AOPA Foundation's Air Safety Institute and the Air Care Alliance have produced The Public Benefit Flying: Balancing Safety and Compassion Online Course which was created at the request of the National Transportation Safety Board (NTSB), working with the Air Care Alliance and its member groups. The course provides excellent information for volunteer pilots on how to maximize the safety of such operations, the responsibility of pilots to their patients and others being transported, etc. Taking the online course qualifies one for FAA Wings program credit. In addition the course mentions use of the call sign "Compassion" during Public Benefit flights. Everything you might want to know about the call sign "Compassion" can be found at the following Air Care Alliance web page. Once you fully understand how to use the call sign Compassion, you can refer to this page for details in communicating with ATC.